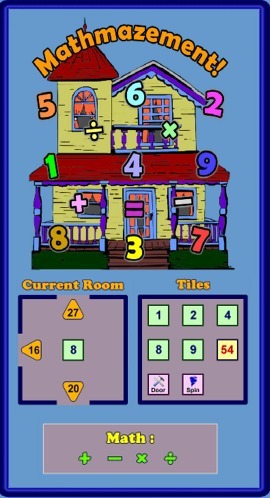 “Fact-Filled Bingo: Sampler” is free fully-functional software that allows you to play Bingo in your classroom while learning Science, Social Studies and Math facts. 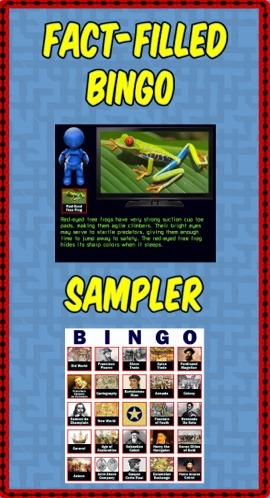 The product is PC/Mac compatible and comes with 8 bingo cards suitable for laminating. Instead of calling numbers, a robot speaks the facts while students search their cards for matches. Download your free copy! Like what you see? Fact-Filled Bingo is currently available in the topics below. Also included is a lesson showing how to make your PowerPoint presentations talk. Your BINGO games are the best anywhere!! I use the trading cards as calling cards and we have many times got into a discussion about a particular event or person. LOVE these!! This game is being offered under the shareware concept. Enter "Mathmazement!" in your favorite browser or go to http://covenantworks.com/mathmazement/ to evaluate the fully functional version for free. If you and your students find the game enjoyable and educational then please consider purchasing the product for $5 through TPT. This will encourage me to write more educational games and support our family's efforts in foster parenting. Thanks!